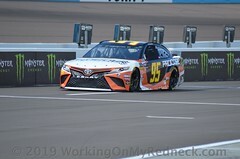 Clint Bowyer got to celebrate his June 10 Michigan victory an extra week thanks to NASCAR’s recent off-week, but he arrived in Northern California appearing ready to add to his season two-trophy haul and swap his victory beer for the region’s fine wine. And looking at the season’s big picture, Bowyer, 39, is now one of four multi-time winners joining Stewart-Haas Racing Ford teammate, five-time winner Kevin Harvick, and Toyota drivers, four-time winner and points leader Kyle Busch, and two-time winner Martin Truex Jr.
And there is good reason to believe the feel-good quotient will only multiply. Bowyer and Stewart-Haas Racing teammate Kurt Busch lead all competitors with seven top-five finishes here in Sonoma. Bowyer has nine top 10s in 12 starts and his 82 laps led ranks sixth among the racers this weekend. Kurt Busch leads everyone with 197 laps out front. But Bowyer’s average finish of 10.667 tops the field. 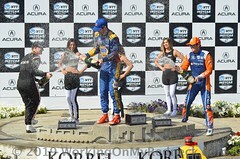 Perhaps Bowyer’s success here in Sonoma may take some by surprise. The Kansas native is as down-home, classic NASCAR oval-like as it gets. His background is on dirt short tracks making a name for himself competing throughout the Midwest – a scene quite different than this weekend’s technical road course in the California high country. 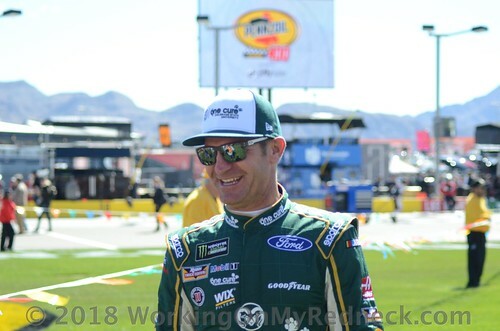 But his record here at Sonoma and the way he has taken to this track is something that brings a wide grin to Bowyer’s face. “I think you embrace this track and road racing in general just like you do Martinsville (a half-mile track),’’ Bowyer said. 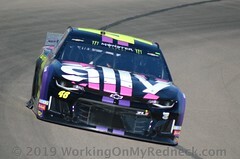 “Nobody shows up at Martinsville and goes to the top of the board and is fast and has success and navigates traffic to win that race right off the bat. It just doesn’t happen and it doesn’t happen here either. “This race track is so much like pulling in one of those vineyards as you go through life,’’ Bowyer continued. “You have to be able to have fun on this race track. It is a challenge. Each and every corner is different. There is no perfect setup or perfect line. 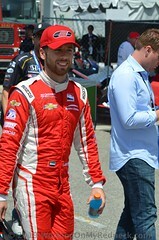 It is literally one of the only tracks you go to where you are out there racing and have a smile on your face. Coming off that win at Michigan and with his enviable track record here at Sonoma, Bowyer finds himself in prime position in the championship chase. 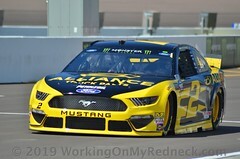 He’s ranked fifth place in the standings, only four points behind fourth-place Brad Keselowski – a fellow Ford driver. Bowyer has two victories, four top-fives and a hefty eight top-10 finishes through 15 races. In the last five races, he has a runner-up at Dover and the win at Michigan. 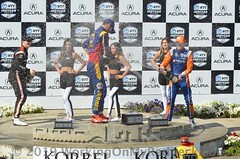 “This is a humbling sport and I have been all over the place with it,’’ Bowyer said. “High, low and everywhere in between. It just makes you appreciate the ride you are on right now and the group that I am around.